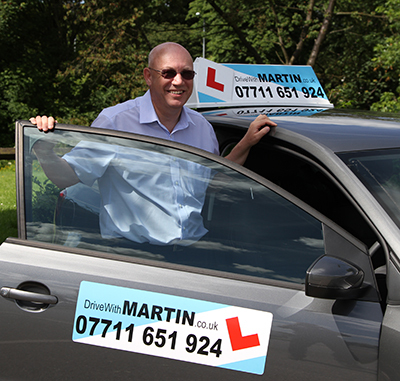 Hi I'm Martin and have been a qualified driving instructor for 12 years providing high quality lessons in and around the Stockport area. All my lessons are tailored to suit the individual pupil from the new and very nervous to those who have some driving experience. I like to conduct my lessons in a relaxed and friendly manner as I believe this helps to overcome nerves and makes the learning process easier, so that driving lessons become a pleasure rather than a chore. Please don't hesitate to give me a call, txt or email for further information. If I don't reply straight a way its because I am on a lesson, so leave me a message and I will get back to you. £25 per hr - £220 10hrs / £110 5hrs block booking. £60 2hrs Motorway tuition - Not included in block bookings. Many thanks for reading my web page Martin.